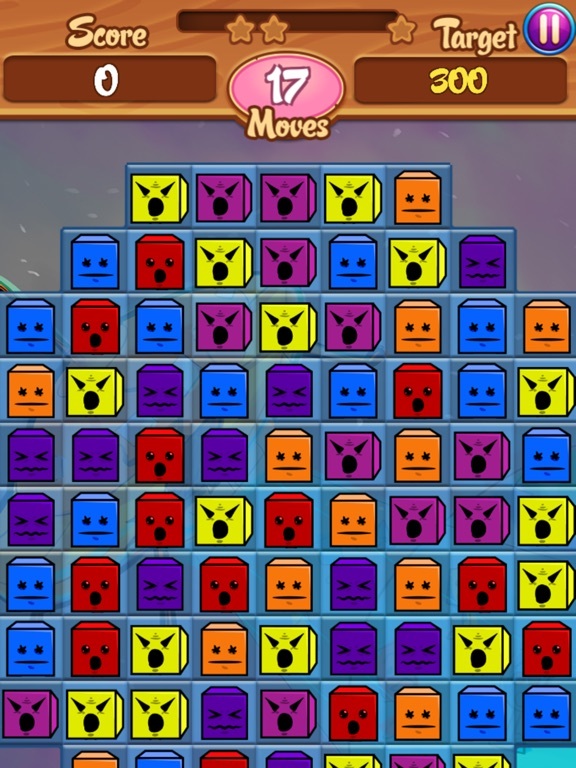 My4Faces-Dreamland is a match-three type game that features colored, crazy faces in the blocks. 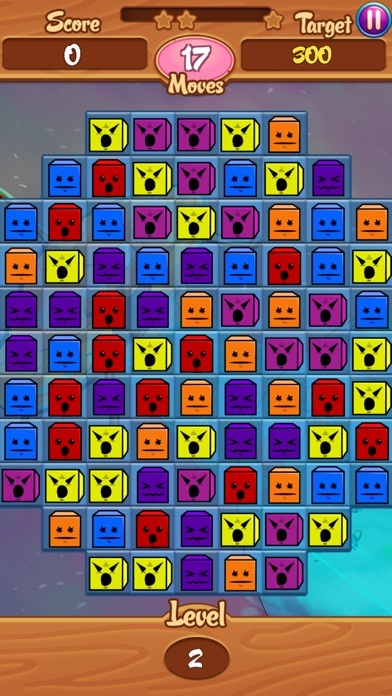 There’s a lot of variety in this version of the game, and each level adds a new twist. 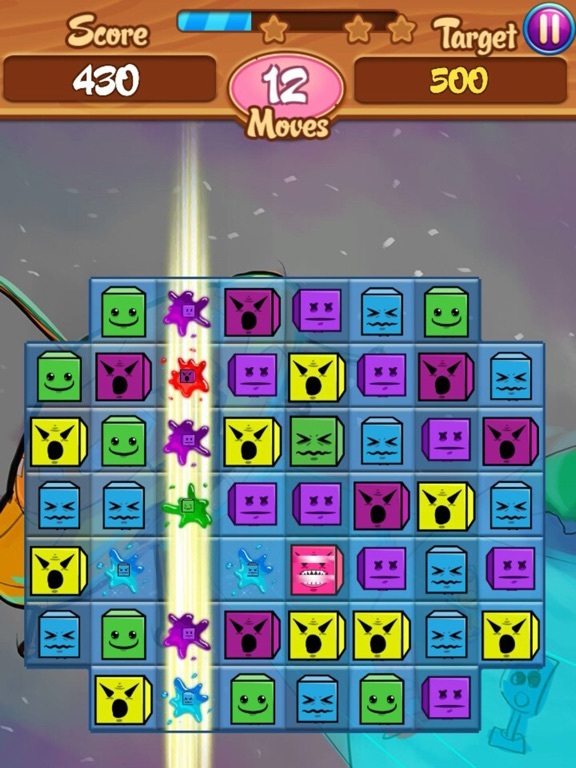 My4Faces Dreamland is a high quality app that creates a match-three type game with several twists on competitors. The app is easy to use if you are already familiar with this type of game. Developers should strongly consider including more information about the various bonus and penalty squares, and how they are to be activated. This would really help parents/mentors who are teaching the game to children. It would be helpful to see a summary of the various squares and their meanings, as well as how to activate the promised bonuses. 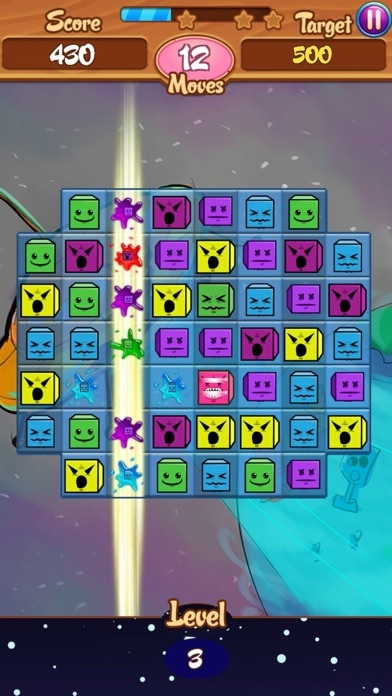 My4Faces Dreamland is quite entertaining, especially if you like match-three type games. Developers have set it up so that the board is not in the traditional rectangular shape all of the time. 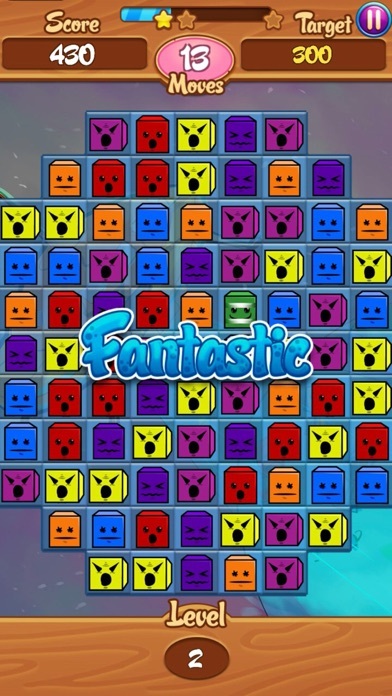 With nooks and crannies along the sides, combined with obstacles that are placed in different spots in the different levels, each section is a unique challenge. 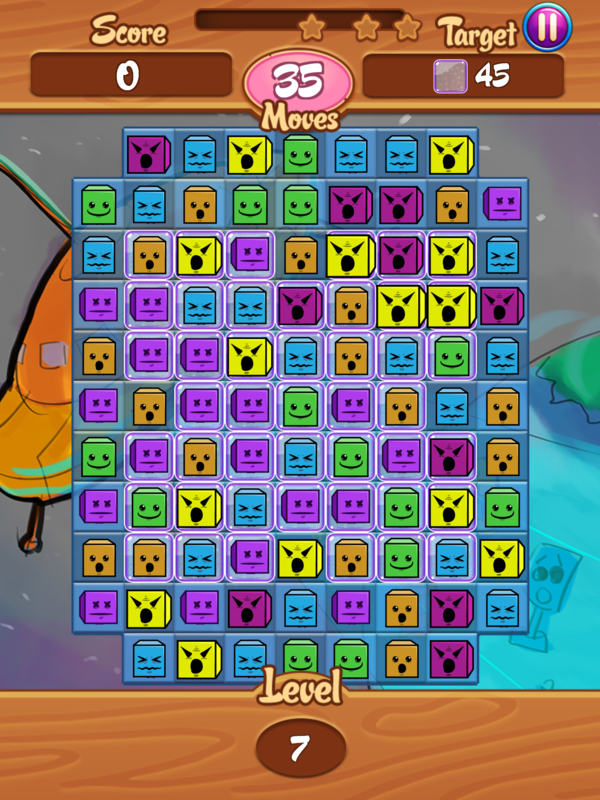 The app also keeps track of the number of moves needed to complete the level and how many were made by the player. 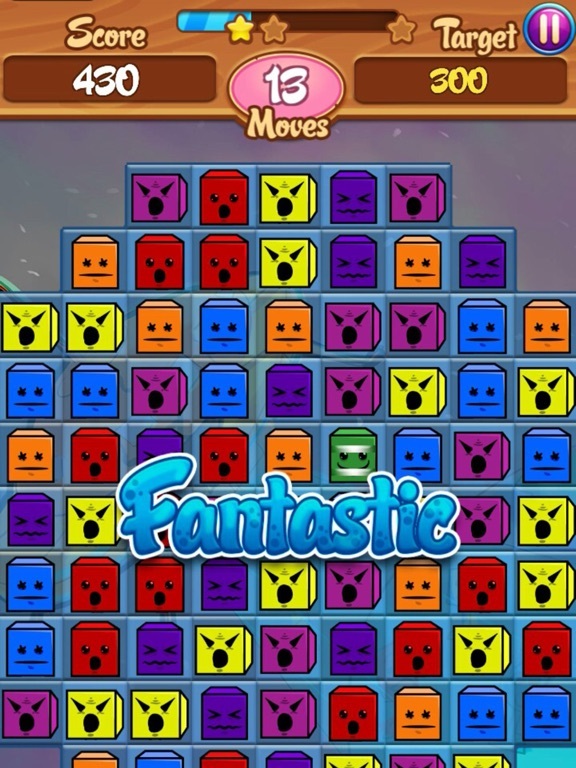 This means that in addition to trying to beat time records, players can work on their strategies as well. This game is free on the App Store, making it an exceptional value. And unlike many of its competitors, there are few if any outside advertisements or tempting and obvious in-app purchases. Nice job! This app is child friendly.